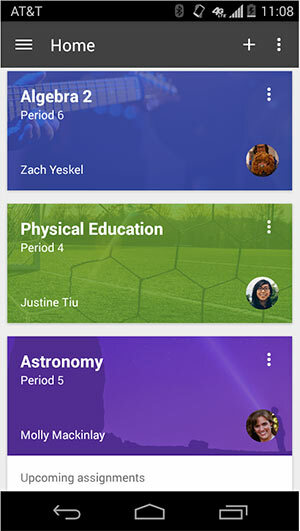 Google has released an update to its Google Classroom software, bringing several new features to the mobile app. Google Classroom is a system built around Google's Apps for Education productivity suite that allows teachers to create assignments directly within Google's apps, which students can then complete in Google Docs and turn them in through a one-click process. It was formally released last August following a three-month limited preview. The new enhancements, timed to coincide with Google's Teacher Appreciation Week efforts, add substantial capabilities to the mobile app version of the software. For one, teachers can now create assignments through the mobile app, edit them and distribute copies to their students. Teachers can also now grade assignments (with private comments or feedback) on their phones or tablets. Finally, the new version also lets teachers take pictures and use those to create assignments or posts. The update is available as of today on Google Play. Google also said further updates will be released before the end of the year.